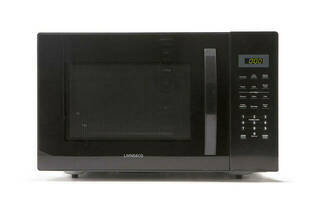 Snapshot: The Living & Co 900W 30L Microwave LM900B is a standard microwave with auto-cook. How well does it defrost mince and chicken? Excellent at cooking broccoli and defrosting mince. Large pull door is easy to use. Crevices around exterior where grime can accumulate.